The Rustic Cabana Hanging Metal Birdhouse presented by Country Vintage Home measures 5½" x 5½" x 10". Includes 10" of chain for hanging. 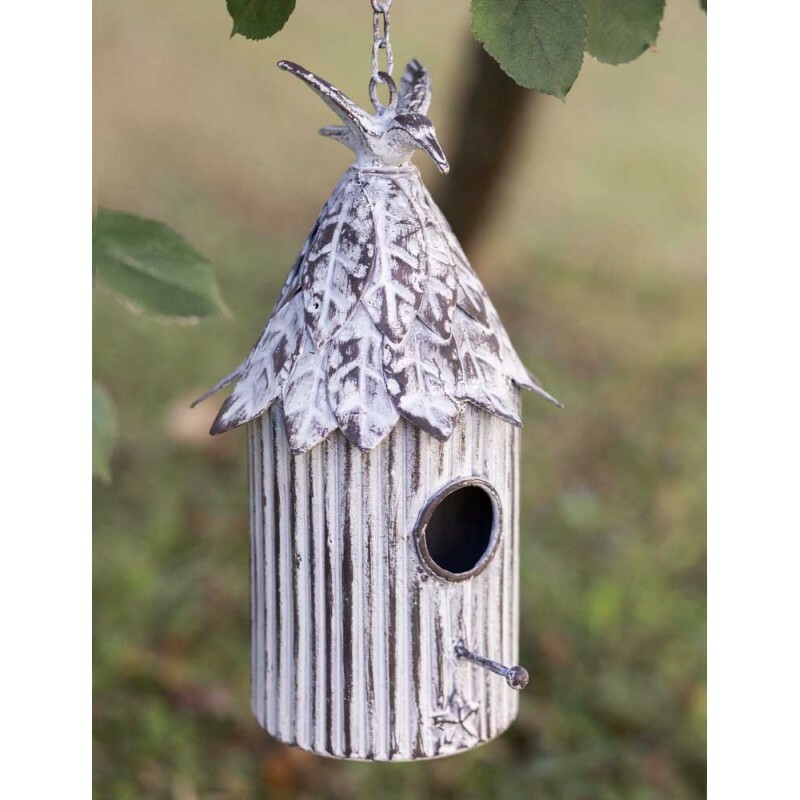 A well constructed durable bird house, designed for years of use.